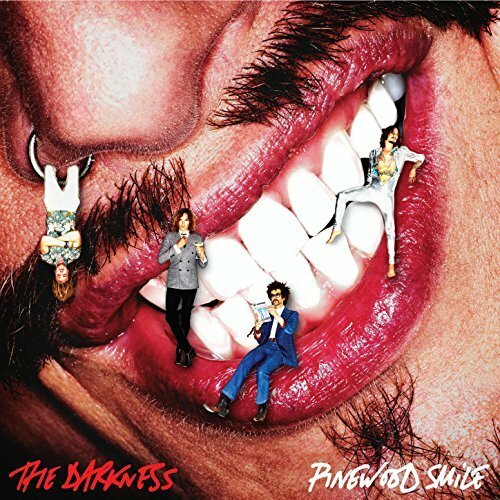 70s glam rock, and the boys just don’t take themselves too seriously, which adds to the dimensional humor of the new album Pinewood Smile. Catchy tunes, deceivingly tight harmonies and hook oriented dare I say it Queenescence quintessential high-flying voices as exhibited on “Buccaneers of Hispaniola.” Or the efflorescent “Solid Gold,” in which Justin sings “Hell bent for denim and leather, Notoriety and wealth, After the show, I think we both know, This fist ain’t gonna bump itself.” Or tunes like “Lay Down with me, Barbara” with a curious lyric “Who needs moonlight? Moonlight’s rubbish anyway,” reminiscent of Flight of the Conchords with its awkwardly cool lyric. This is exactly what the world needs now, rock that squarely kicks you in the knickers with its tongue-in cheek mastery. Well worth the price of admission. So that’s the short of it. Strong riffs, tasty guitar solos and tons of quirky British humor in the lyrics. Another in-your-face album from a British band that is the last of their kind. An up-tempo album that focuses on what The Darkness does best, songs with strong riffs and hooks that have a 70's rock vibe to them. It gives us all what we need right now, a little rock-n-roll that kicks you right square in the crotch and makes a joke about, and you laugh!